Low back pain is a very common cause of pain and disability. It creates significant costs from medical treatment and loss of work capacity. The current paper analyzed pain catastrophizing as a mechanism of change for pain intensity following multidisciplinary treatment of low back pain secondary to lumbar disc prolapse (for the primary effectiveness paper see Onac et al., 2012). We analyzed the outcome (pain intensity) in relationship with pain catastrophizing, for the three treatment groups involved in the clinical trial: medication alone (Med), medication and physio-kinetotherapy (Med-PhK) and medication, physio-kinetotherapy and cognitive-behavioral therapy (Med-PhK-CBT). Results showed reduced pain levels for patients in the multidisciplinary treatment groups as compared to medication alone and pain catastrophizing has a mediating role. Nonclinical catastrophizers (score for pain catastrophizing below 30) had better outcomes when offered physio-kinetotherapy (MD=1.632, p=.043) or physio-kinesiotherapy and CBT (MD=1.790, p=.042) compared to the medication alone. Clinical catastrophizers had significantly lowered pain levels compared to medication alone only when receiving both physio-kinesiotherapy and CBT (MD=-3.115, p=.007), physio-kinesiotherapy alone reducing pain levels similar to medication alone (non significant difference – MD=2.433, p=.053). Results need to be confirmed on more patient samples, but they indicate that, for an effective and probably a cost-efficient treatment of low back pain, patients must be assessed for a psychological factor: pain catastrophizing. Those that have subclinical levels need medication and physio-kinesiotherapy to improve their pain. But if a patient is a clinical catastrophizer, CBT is essential to improve pain. Basler, H., Jakle, C. & Kroner – Herwing. B. (1997). Incorporation of cognitive behavioral treatment into the medical care of chronic low back pain patients: a controlled randomized study in German pain treatment centers. Patient education and counseling, 31, 113-124. Bush, K., Cowan, N., Katz, D. E., & Gishen, P. (1992). The natural history of sciatica associated with disc pathology. A prospective study with clinical and independent radiologic follow-up. Spine, 17(10), 1205–1212. Hamanishi, C., & Tanaka, S. (1993). Dorsal root ganglia in the lumbosacral region observed from the axial views of MRI. Spine, 18(13), 1753–1756. Kikuchi, S., Sato, K., Konno, S., & Hasue, M. (1994). Anatomic and radiographic study of dorsal root ganglia. Spine, 19(1), 6–11. Lewis, J. S., Hewitt, J. S., Billington, L., Cole, S., Byng, J., & Karayiannis, S. (2005). A randomized clinical trial comparing two physiotherapy interventions for chronic low back pain. Spine, 30(7), 711–721. Maniadakis, N., & Gray, A. (2000). The economic burden of back pain in the UK. Pain, 84(1), 95–103. Moldovan, A.R., Onac. I.A, Vantu, M., Szentagotai, A. & Onac. I. (2009). Emotional distress, pain catastrophizing and expectancies in patients with low back pain. 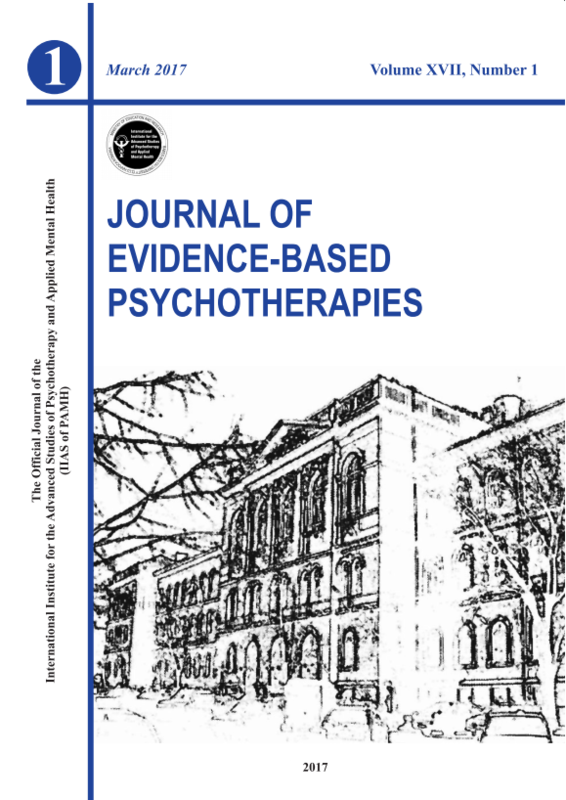 Journal of Cognitive and Behavioral Psychotherapies, 9 (1), 83-93. Morley, S. & Eccleston, C. (1999) Systematic review and meta-analysis of randomized controlled trials of cognitive-behavior therapy and behavior therapy for chronic pain in adults, excluding headaches. Pain, 80, 1-13. Onac, I.A., Moldovan, A.R., Onac, I., Igna, R. & Pop, L. (2012). Medication, physiotherapy and cognitive behavior therapy for the treatment of chronic back pain: A clinical trial. Journal of Cognitive and Behavioral Psychotherapies, 12 (1), 23-37. Ostelo, R.W. (2005). Behavioral treatment for chronic low back pain, Cochrane Database Systemic Review. Saal, J. A., Saal, J. S., & Herzog, R. J. (1990). The natural history of lumbar intervertebral disc extrusions treated nonoperatively. Spine, 15(7), 683–686. Seminowicz, D.A. & Davis, K.D. (2006). Cortical responses to pain in healthy individuals depends on pain catastrophizing. Pain, 120, 297-306. Spinhoven, P., Ter Kuile, M. Kole-Snijders, A.M., Hutten Mansfeld, M., Den Ouden, D.J. & Vlaeyen, J.W. (2004). Catastrophizing and internal pain control as mediators of outcome in the multidisciplinary treatment of chronic low back pain, European Journal of Pain, 8, 211–219. Sullivan, M.J.L., Bishop, S.R. & Pivik, J. (1995). The Pain Catastrophizing Scale: Development and Validation, Psychological Assessment, 7, 524-532. Sullivan, M.J.L., Rodgers, W.M. & Kirsch, I (2001). Catastrophizing, depression and expectations for pain and emotional distress. Pain, 91, 147-154. Sullivan, M.J.L., Lynch, M.E. & Clark, A.J. (2005). Dimensions of catastrophic thinking associated with pain experience and disability in patients with neuropathic pain conditions. Pain,113, 310-315. Verbunt, J. A., Seelen, H. A., Vlaeyen, J. W., van de Heijden, G. J., Heuts, P. H., Pons, K., & Knottnerus, J. A. (2003). Disuse and deconditioning in chronic low back pain: concepts and hypotheses on contributing mechanisms. European Journal of Pain (London, England), 7(1), 9–21. Waddell, G. (1996). Low back pain: a twentieth century health care enigma. Spine, 21 (24), 2820-2825. United States. Weersing, V. R., & Weisz, J. R. (2002). Mechanisms of action in youth psychotherapy. Journal of Child Psychology and Psychiatry, 1, 3–29.